Did Your Commercial HVAC Miss Its Spring Tune-Up? It�s Not Too Late! As business owner-operators ourselves, we know all too well how the ups and downs of each quarterly business cycle can feel all-consuming and rapid! It is easy to push aside things like routine appliance maintenance when you are rushing from one task to the next, monitoring profits, pursuing new income streams, juggling hats and workers and managers, and all the rest. Unfortunately, consistently moving HVAC maintenance to the bottom of the quarterly to-do list can in time turn small repairs into big repairs and big repairs into emergency outages. That is where we can help. Here at Shipton’s, we take pride in our A+ Better Business Bureau rating and our nearly 600 5-star reviews from our commercial and residential customers. In this post, we cover major fall and winter maintenance needs for your commercial HVAC systems so you know what to expect and how this type of proactive, preventative maintenance can help you save time and money in the future. These are the six major focal points of our preventative HVAC maintenance service. Your condenser, evaporator and compressor represent the heart, lungs and guts of your HVAC system. This “triple threat” trio is going to take on most of the pressure for keeping the whole system running. In turn, it will likely need the most intensive preventative maintenance and minor repairs to keep working at its best. The outdoor components typically take the brunt of weather-related wear and tear, which in turn affects the functioning of the indoor components. During our routine maintenance, we will inspect and clean the evaporator and condenser coils, straighten any bent or misaligned compressor fins, clean the hoses and housing inside and out, flush and clean the drain pipe and drain pan, and ensure the whole unit is level and seated securely. Faulty electrical wiring is one of the major causes of electrical fires in residential and commercial spaces annually. Not all of this is due to simple wear and tear, either. Rodents can do their own damage by chewing on the wiring and building nests (which are essentially small piles of kindling!) near the connection points. During our routine maintenance, we check the electrical wiring for any signs of rodent nests, rust or abrasion, faulty or loose connections, frayed or exposed electrical wires, electrical shorts and similar dangers. 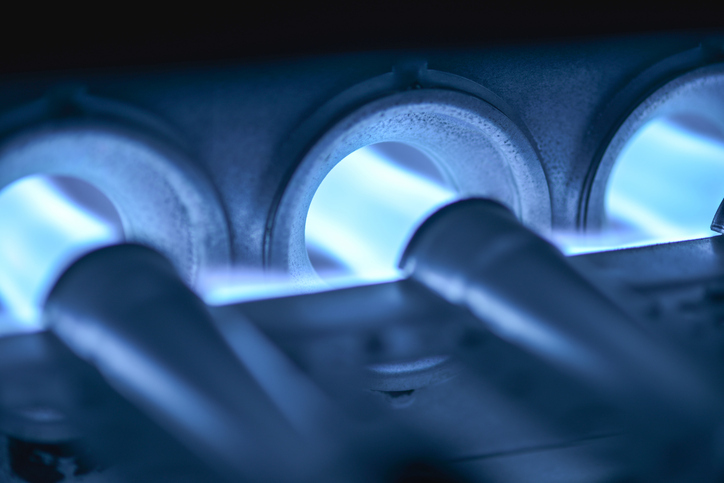 If your HVAC system includes a gas-powered furnace, we also do a thorough inspection and cleaning of the pilot light and injection system. Your HVAC system’s refrigerant levels should stay fairly constant over time. If there is a sudden decrease in the amount of refrigerant in the reservoir, this can be a warning sign that there is a leak somewhere in your system. Once again, rodents are often the culprits when there is a refrigerant leak. Mice and rats, squirrels and even racoons are notorious for chewing through hoses and causing leaks as they try to wear down their continuously growing front incisors and also find material to create their nests. During our routine maintenance, we check for low refrigerant levels and troubleshoot to identify possible leaks that need repair. If we do find signs of a rodent or insect problem, we will also alert you and can offer recommendations for removal if needed. If your HVAC system runs in concert with a network of air ducts, these air ducts cannot be overlooked as part of a comprehensive preventative maintenance service. Air ducts are the unsung heroes of the whole operation, since without them, none of that expensive temperature-controlled air would ever reach the places it is needed! Air ducts can be a frequent target for insects, rodents and other uninvited wildlife guests who are seeking winter shelter or nest-building materials. Air duct insulation can make for prime nesting filler, and this often causes holes and leaks to form at connection points along your air duct system. Over time, air ducts can also begin to sag as the material degrades and the structure weakens. This can also cause tears and leaks that allow temperature-controlled air to escape. If your HVAC energy bills continually increase with no visible cause, an aging air duct system may be the cause. During our routine maintenance, our technician will visually inspect your air duct connection points and offer recommendations for air duct maintenance. This may include repairing leaks and holes, adding insulation and/or scheduling a professional air duct cleaning. Air ducts can accumulate a surprising amount of trapped dust, dirt, debris and airborne toxins over time. The average air duct system has never been professionally vacuumed and sanitized. This is a separate service provided by our sister company, Clean Air Solutions Hamilton. There are two main types of HVAC filters: disposable and reusable. Disposable filters need to be inspected and replaced every 30 to 60 days depending on usage rates. Reusable filters need to be inspected, cleaned and replaced to continue functioning effectively. Filter maintenance is so easy to forget about! But a clogged air filter is the number one cause of escalating energy bills and decreasing airflow as your HVAC unit fights harder to push air through the filter to reach each room in your space. We also give your HVAC system a thorough exterior and interior cleaning, do a thermostat accuracy test and offer suggestions for improving overall HVAC efficiency and lowering seasonal energy costs. We are proud to hire only the finest HVAC service technicians in the province! Our friendly, timely, knowledgeable techs can help you keep your residential and commercial HVAC appliances running smoothly and economically year-round. Contact us online or give us a call at 905-549-4616 to schedule your annual commercial HVAC preventative maintenance service and also learn more about how we can save you time and money on your air conditioning and heating needs!